Yesterday I took our youngest to see Zog at the Storyhouse in Chester, which we are lucky enough to call our local theatre. 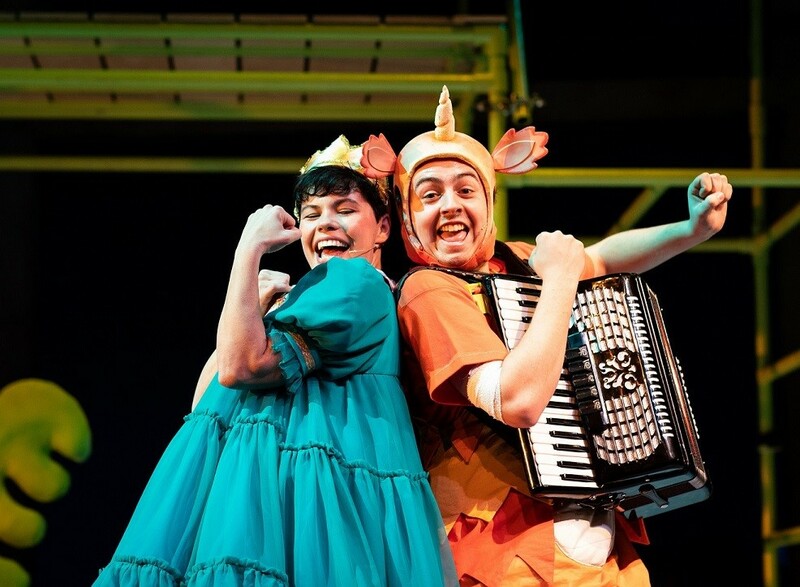 If you haven’t already heard about this performance then it is live stage adaptation of the incredible book, Zog, written by Julia Donaldson and Alex Scheffler. The book is one of our favourites and one I can now read the majority of without even looking at the pages as we have read it so many times I appear to have memorised most of it. It is a tale about Madam Dragon’s dragon school where young dragons like Zog go to learn how to fly, breath fire, and capture princesses, however as with all good stories nothing is ever that straight forward and the once captured Princess Pearl shows strength and determination to be anything other than a damsel in distress and goes on to be a doctor instead. It is a hilarious, rhyming book with a deep and powerful hidden message about being able to be and do anything you want to if you simply but your mind to it and one think all children should read or have read to them at least once. Mike Sheperd’s stage version of Zog at the Storyhouse was a fabulous show. One that manged to not only encapsulate the main message of the story but also extend parts in order to create a 45 minute show without veering too far from the main book. The stage version is a mix of actors in costumes and delightful handcrafted puppets that captured the imagination of the children from the very start. There are lines from the book that children and adults alike will recognise as well as some songs that will have them dancing in their chairs and of course the all important audience participation in the form of a game of eye spy and the whole “he’s behind you” routine, which is great for keeping the kids engaged. In this version you get to know Madame Dragon a little bit more and I must admit I was surprised to find she was much more cranky and underhand than I had imagined but luckily she doesn’t win in the end as true to the book the flying doctors take to the sky in the final scene. 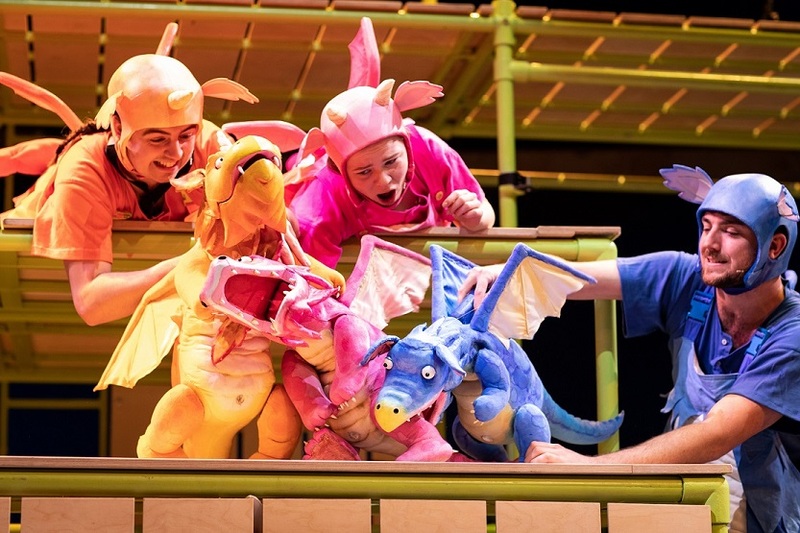 If you have children aged 6 or under I highly recommend you watch Zog at the Storyhouse or at a location closer to you as it goes on tour. It is a wonderful performance for little ones whether they already know the story or not and in my opinion has the perfect running time for children to be able to hold their concentration. (We were given complimentary tickets in exchange for a review, all opinions are my own).